Is Bellew preparing to take control at Ryanair? Peter Bellew's return to the Ryanair fold fires the starting gun on the race to succeed Michael O'Leary as the boss of Europe's largest airline. On Tuesday, Ryanair announced that Bellew would be rejoining the airline as chief operations officer. Bellew had previously spent 14 years with Ryanair before leaving for Malaysian Airlines in 2015. He takes over from Michael Hickey, who left Ryanair abruptly following the pilot-rostering fiasco that forced the airline to cancel 18,000 flights and left 800,000 passengers inconvenienced. So why is the prodigal son coming home? Bellew had first been deputy chief executive of Malaysian Airlines and, since July 2016, its chief executive. With 16 million passengers a year, Malaysian Airlines is only a fraction of the size of Ryanair, which carried 120 million passengers in the year to the end of March. There have also been reports in the Malaysian media that Bellew had had a difficult relationship with the airline's sole shareholder, the Malaysian sovereign wealth fund Khazanah. Malaysian Airlines has had a tumultuous few years since 2014, when one of its planes vanished in the Indian Ocean and another was shot down by Russian-backed rebels over Ukraine. Even allowing for the fact that Khazanah may have been an occasional back-seat driver, with Malaysian Airlines getting through three chief executives in as many years, Bellew is going from being boss of an airline to being no more than one of the chasing pack at Ryanair. When asked why he was quitting Malaysian Airlines, Bellew replied: "It [Ryanair] is Ireland's greatest company. They need my help and there is a big challenge. It is a form of national service." A decade or more ago a feature of every Ryanair results press conference was O'Leary dangling the prospect of his retirement in "a year or two". Of course it never happened and as O'Leary approached and then passed the Big Five-Oh we heard less and less of his retirement plans. While Hickey's unscheduled departure may have bought him some time, there is little doubt that the rostering fiasco has brought the end of O'Leary 23-year reign as Ryanair's boss a lot closer. 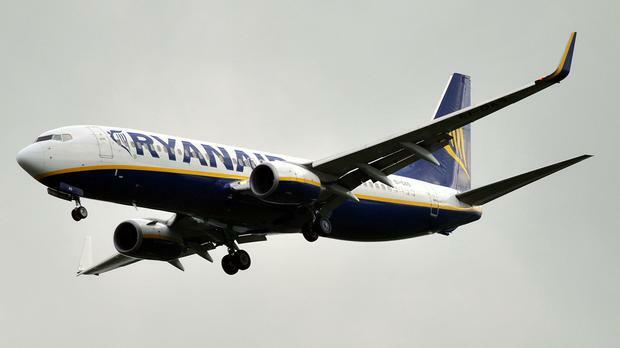 After almost a quarter of a century of being synonymous with the airline, we may soon have to get used to the idea of Ryanair without O'Leary. Whatever the rights and wrongs of the matter there is little doubt that Ryanair's relationship with its pilots, without whom it cannot fly its planes, is difficult. After years of being able to dictate terms to its pilots, a recovery in the demand for pilots from other airlines means that the shoe is now on the other foot. This is happening at the same time as Ryanair's growth from upstart to being the largest airline in Europe, with a forecast 130 million passengers in the current year, means that not alone is its previously cavalier attitude to its pilots and other staff no longer working, it is downright counter-productive. As his recent derogatory comments about Ryanair's pilots demonstrate, O'Leary seems to have difficulty fully grasping this fundamental change. The Ryanair statement announcing Bellew's appointment made it clear that he had been hired to fix the rostering mess. He will have "specific responsibility for pilot production, training and career development with a mission to ensure that the pilot-rostering failure which Ryanair suffered in early September will never be repeated". If, and given O'Leary's apparent recalcitrance that could be a very big "if", the 52-year old Bellew succeeds in this task he could then be in pole position to take over the controls at Ryanair whenever O'Leary finally decides to spend more time with his racehorses and Aberdeen Angus pedigree cattle. Is Bellew's second coming at Ryanair merely the first step in a canny strategy that will ultimately see him become boss of his own airline, in this case the biggest in Europe, once again? Shocking as the misbehaviour of the banks in wrongly taking customers off tracker mortgages was, what it tells us about the state of financial regulation in this country is even more disturbing. Almost a decade on from the crash, our system of financial regulation is still not fit for purpose. The Central Bank had been pushed "to the limits of its powers" and "all lenders did not sufficiently recognise or address the scale of these unacceptable failings," Central Bank governor Philip Lane told the Oireachtas Finance Committee on Thursday. The previous day, Financial Ombudsman Ger Deering revealed that of the 700 cases his office had adjudicated on since 2009, the banks had only restored the tracker mortgage in 25pc of them. The picture that emerges from the committee's hearings is one of at least some of the banks feeling free to treat their "regulators" with contempt. This is despite all of the reforms that have been put in place since the banking crisis first struck nine years ago. So can anything be done to address the regulatory failings that have been highlighted by the tracker mortgage scandal? What the affair demonstrates once more is the inability of the Central Bank to combine its prudential role, i.e. ensuring that the banks don't go bust, with its consumer protection role, i.e. stopping the banks from robbing us blind. With the banks still on life support and the State retaining 75pc shareholdings in AIB and PTSB along with a 14pc stake in Bank of Ireland, the Central Bank is hopelessly conflicted. At least 13,000 customers are now known to have been wrongly moved off trackers, a number that will surely rise. This means that the final cost of the tracker scandal will run into the hundreds of millions and possibly billions of euro. Wearing its prudential hat, the Central Bank would certainly have an incentive to encourage the banks to minimise these losses. To fix our broken system of financial regulation we need to strip the Central Bank of its consumer protection role and hive off the function to a new agency with the resources and powers to do the job properly.